Gang culture is one of the most volatile issues to have impacted young people throughout history and around the world. 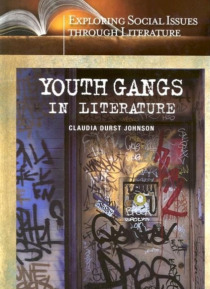 By focusing on the fictional representation of youth gangs, this work presents a unique perspective on an all-too-real phenomenon and its many manifestations. Organized chronologically and topically, the volume begins with a powerful essay tracing the origins and developments of y… outh gangs, from the early days of the Wild West to immigration gangs in 19th- and 20th-century America and the Twenty chapters, each introduced with a primary document, fully explore the different types of gangs, identifying their time, place, struggles, and demographic character. Included are the early gangs of New York City, prison gangs, Asian gangs, school gangs, African American gangs, and girl gangs. Each chapter analyzes one or more works of fiction in terms of its thematic message and the light it sheds on the nature of the depicted gang situation. The examined fiction will be of special interest to students and educators, and includes works often found on assigned reading lists, such as The Chocolate War, The Outsiders, and Lord of the Flies. Popular works, such as Gangs of New York, provide an historical perspective on early immigrant gangs, while presenting timeless themes of identity struggles that resonate for young people everywhere. In addition to the literary works and primary documents, suggestions for additional titles and sources for further information on the topics are offered.